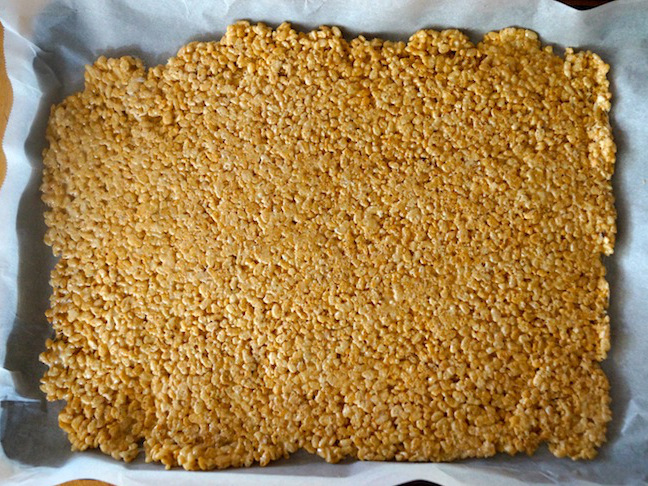 I grew up on classic variations on Rice Krispies treats, and as an adult, I love experimenting with new flavors. 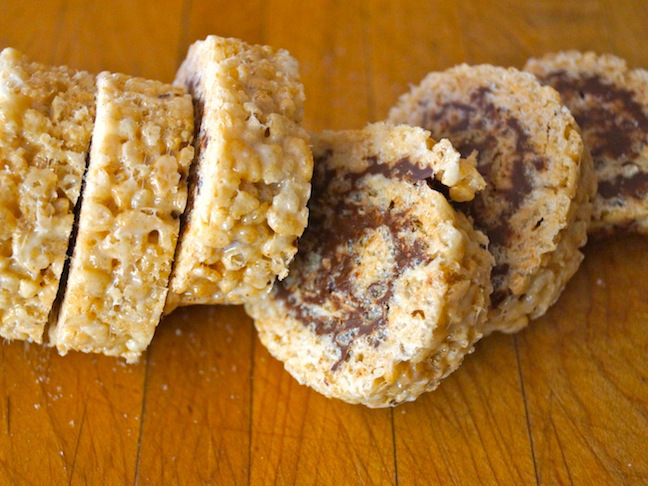 I’ve never met a kid or adult who doesn’t love Rice Krispies treats, s’mores, or a mix of chocolate and peanut butter. 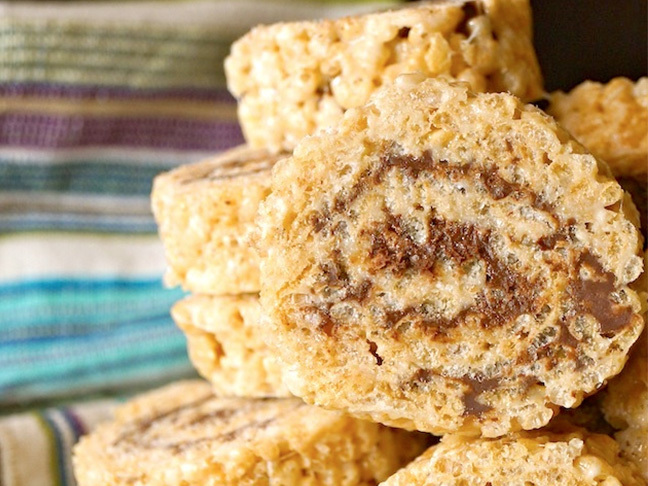 I combined all three and rolled them up into one scrumptious Rice Krispies S’mores pinwheels recipe. 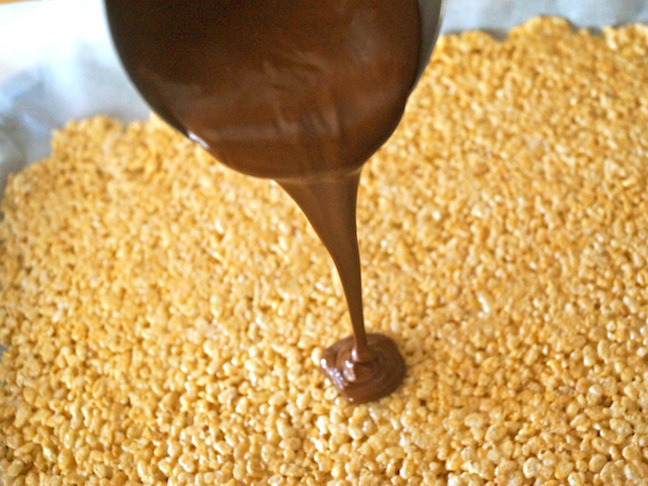 I keep all the ingredients for these easily on hand, and anytime I need to make a last minute dessert for a party, these are almost always my go-to. 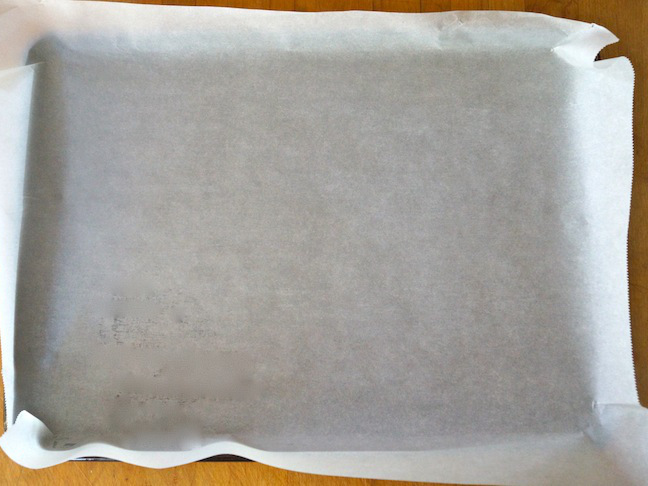 Step 1: Line a baking sheet with a large sheet of parchment paper. Step 3: Place the butter in a very large pot, and place it over medium heat on the stove. 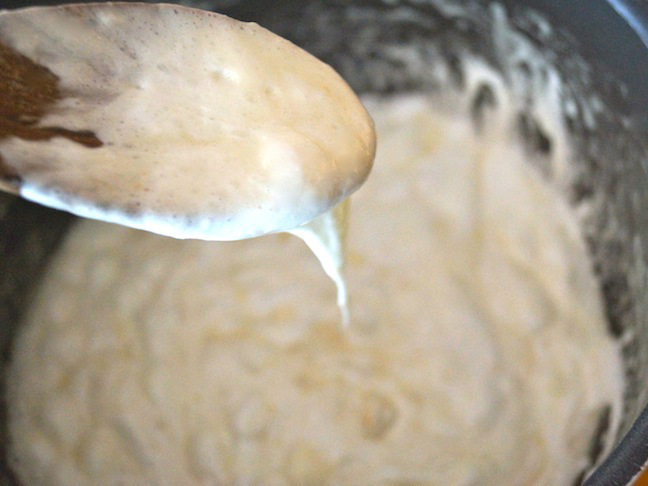 As soon as it's melted, swirl the pan around to be sure the entire bottom is well coated. 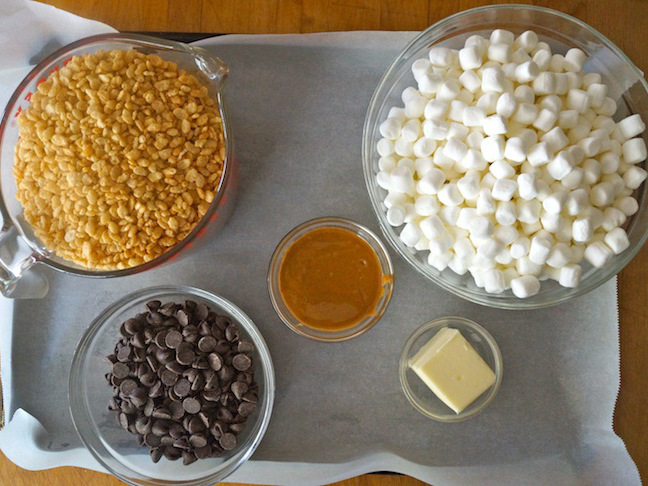 Add the marshmallows and let them melt. This should take less than 5 minutes. Stir to combine with the butter. 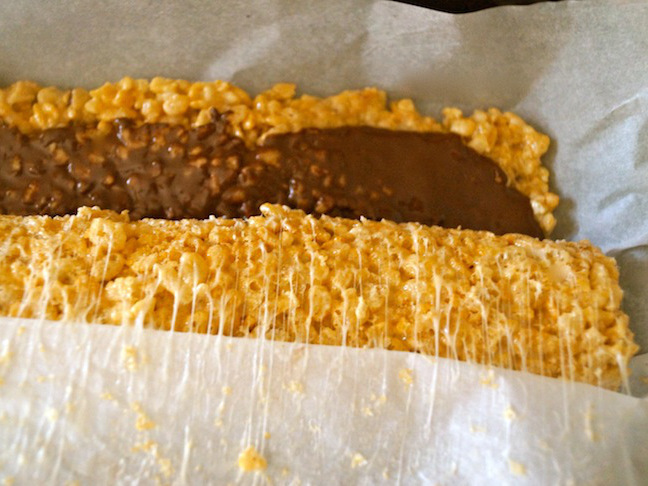 Step 4: Pour the cereal into the marshmallow mixture and stir until all of it is well coated and sticky. Pour this on the parchment-lined baking sheet. 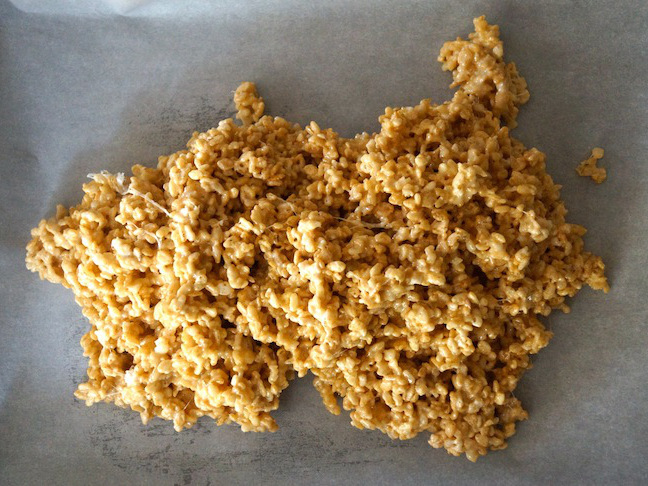 Step 5: Add a second sheet of parchment paper on top of the mixture, and use your hands to press it down. 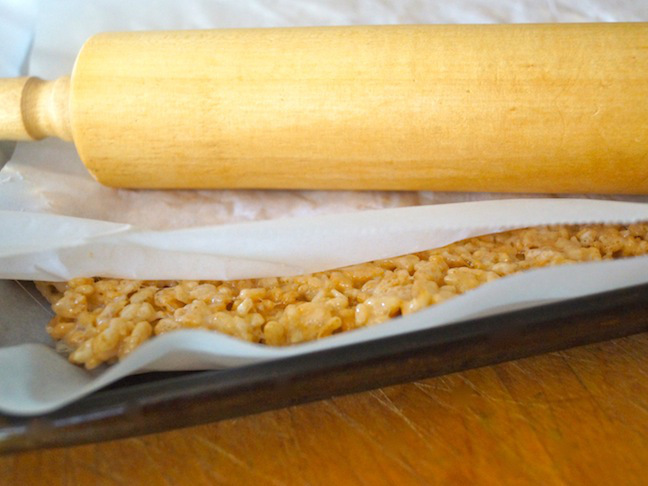 Then use a rolling pin to roll directly on top of the paper to further flatten the mixture. Step 6: Roll the mixture until it covers as much of the baking sheet as possible. 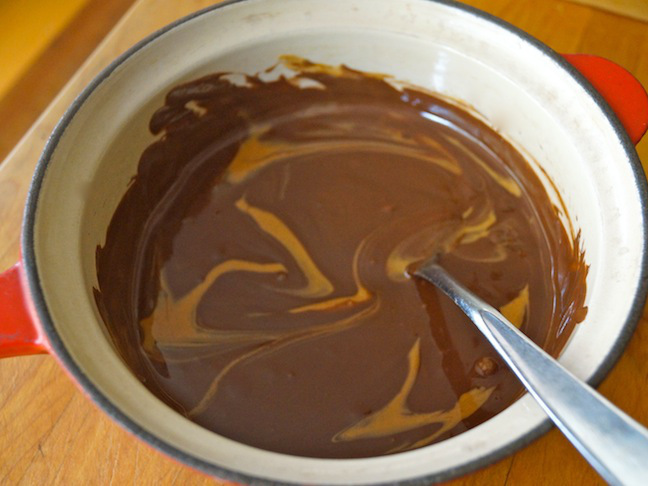 Step 7: Pour the melted chocolate–peanut butter on top. 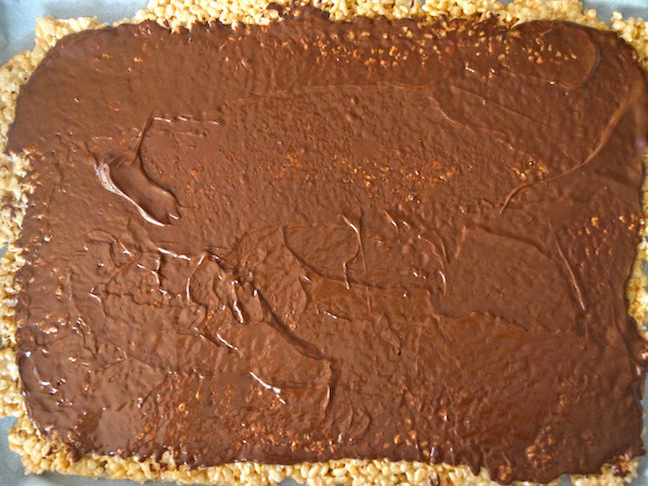 Step 8: Use a flat bottomed spatula to spread the mixture over the entire surface. It should cover just about all of it, with a bit of space left along the edges. 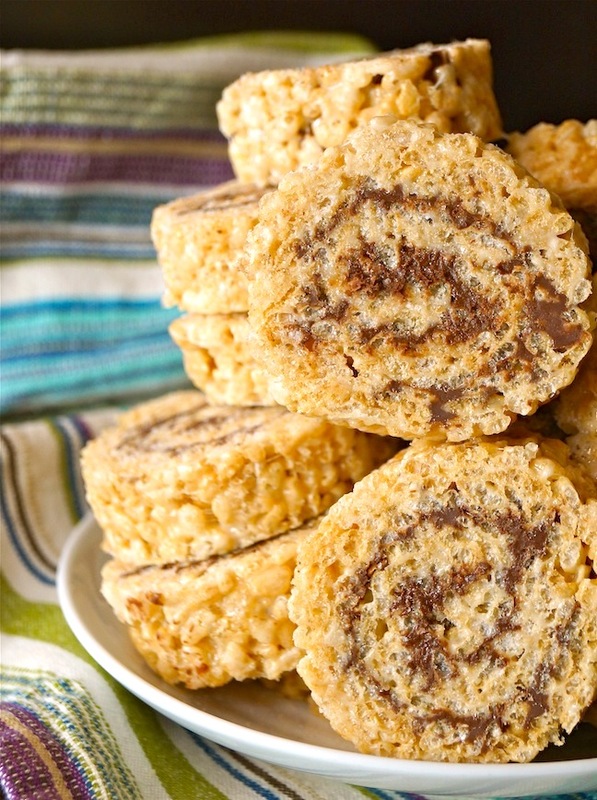 Step 9: Then roll up the Rice Krispies treat into a pinwheel. Use the parchment paper to assist you as you roll, starting on the long side. Peel the parchment paper off as you go. 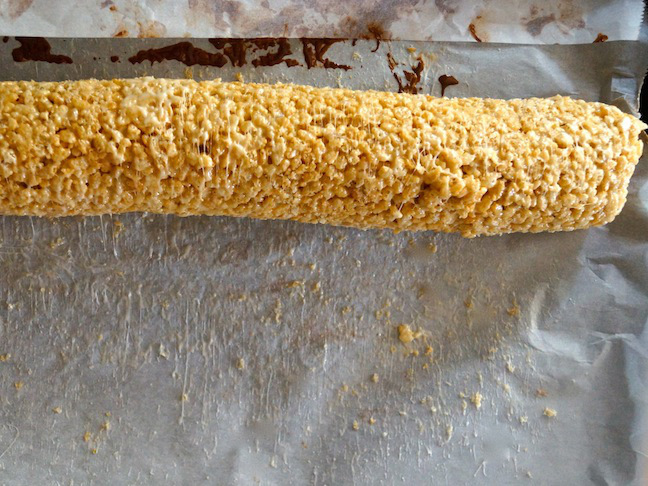 Step 10: Place the roll in the refrigerator, seam side down, for 1 hour. Step 11: Cut the roll into approximately 18 evenly sized slices and serve.